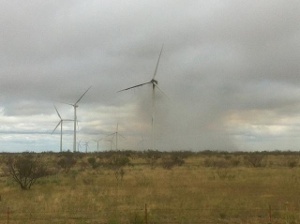 HAMBY, Texas – A wind turbine north of Hamby sparked a small grass fire after going up in flames. Firefighters estimate the grass fire to be six to eight acres. The fire started around 1 p.m. on Tuesday. The turbine is on Highway 351 north of town. Firefighters from Hamby, Abilene, and Albany are working on the fire.